THE CHEAPEST DAY TO BUY FLIGHTS? Is there such a thing? Whether you're going on a vacation, visiting family across the country, or on a business trip - you want the best deal on your flight ticket. You'll spend countless hours on Google trying to find the answer. The internet is ripe with responses and eager to help with all sorts of tips, advice, and travel hacks. They will tell you that you should purchase your ticket six weeks prior or some variation of the same response. Are there Cheapest Days to Buy Flights? Discount Airline WOW air once offered $99 one way flights from New York's JFK to popular cities in Europe like Amsterdam, Brussels, Dublin, London, and Copenhagen! Deals like these are very basic. You'll have to pay for checked-in luggage and other comforts like meals. There is probably a long layover, but there are ways to take advantage of these situations. If you happen to miss the deals on Cyber Monday or Black Friday, you can purchase cheap flights during Tuesdays. There's a reason why it has earned the "Travel Tuesday" moniker. This is because airlines announce their deals on Monday nights, and by Tuesday at noon, the other airlines are scrambling to match or offer a better deal. The only issue is that your Tuesday noon might differ than my Tuesday noon depending on the time zones. You can see on the graph above that prices dip for flights during these days. I use either the Skyscanner app or their website to find the cheapest deals on flights. 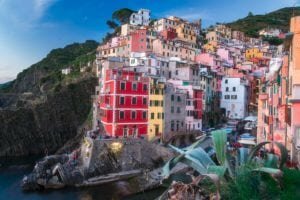 I have written about this the Skyscanner app on my roundup: The Best Apps to Find Cheap Flights. On the Skyscanner website, you can find special deals from airlines on the Skyscanner pages. Just mark your calendar or set up an alert on the Skyscanner app to remind you to visit Skyscanner on Black Friday or Cyber Monday to search for your favorite destinations. You can even use their "Everywhere Search" feature which allows you to find the lowest prices on flights in every destination around the globe. TripADeal is the new kid on the block and it offers great discounts on these days as well. TripADeal is also an Online Travel agency on top of being a booking site. It's also got easy to use interface to help you get the best deals on flights. A flight with a very long stopover is cheaper than a regular ticket. People don't buy into these deals because they don't want to be stuck in an airport with nothing to do. That's not the case! It's a good way to notch another country under your belt if you do it right. Think of it as an extra reward. You can use this time to check out the country at little to no cost to you. For example, I bought a cheap flight to Belize for $500 offseason, and it had a 10-hour layover in El Salvador. My then girlfriend and I decided to check out San Salvador city. It wasn't that far from the airport, and purchasing an 8-day visa was all we needed to see the city. Let me tell you; some dangerous things are going on in that city that are too lengthy to say here. Suffice it to say; I've gained some insights from that layover that will influence my future travel plans or not to El Salvador. I wouldn't have gotten that experience had I not had a long layover from a flight. Flying out on a weekday is typically cheaper than flying out on the weekends. What time you fly out also plays a factor on the airfare prices, so the more flexible you are about timing, the better your chances of finding a cheap flight. If you're using Skyscanner, there is a nifty feature to see the different airfare by adjusting the date you fly out and the return date. You can see all the prices in real time as you add or subtract a day or two. Nobody wants to get up very early or go to the airport very late. Early and very late flights are on an awkward schedule and are cheaper on average than flights on regular hours. I always think of it as a way to skip a day on hotels and accommodation. If I can sleep on the plane or a train journey, I save money by not having to stay a hotel for that duration. Red-eye flights are cheap because it's inconvenient, but you can turn this into an advantage if you plan carefully. Flight alerts are by far one of the best tools for the budget conscious traveler. You can have your favorite travel app to set an email alert whenever it finds a deal to destinations and price point you specify. Again, Skyscanner is very good at this. You can set up the price alert on the app to track the price of a specific flight. When and if the price changes, the app will notify you by push notification or via email. If you are flexible about your destination, you can set up multiple alerts to help you land a cheap flight to a destination of your choice. Using this method, I was able to find a very cheap trip to Bucharest and had a great adventure all around Romania! Go to the Skyscanner homepage or open the Skyscanner app on your phone. Search for the flight route and dates you want to track. Click the bell icon on the website located in the top-left or the bottom-left on the app. Click ‘Create,’ and that's it! You will soon get notifications of any price changes. 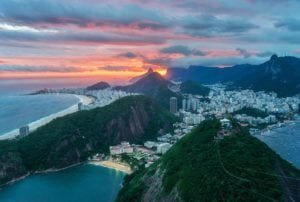 How about Rio de Janeiro? Most cheap budget airlines don't include checked-in baggage on their price. These are often hefty fees that would almost certainly negate the initial affordable price of the ticket. Make you sure you read the fine print as to what's included or not on the cost of the ticket. If you are a minimalistic traveler and can do with only carry-on luggage then maybe you don't care about the baggage fees. However, if you're in need of extra baggage, you might want to look elsewhere and compare the prices with other airlines offering a free checked in baggage. 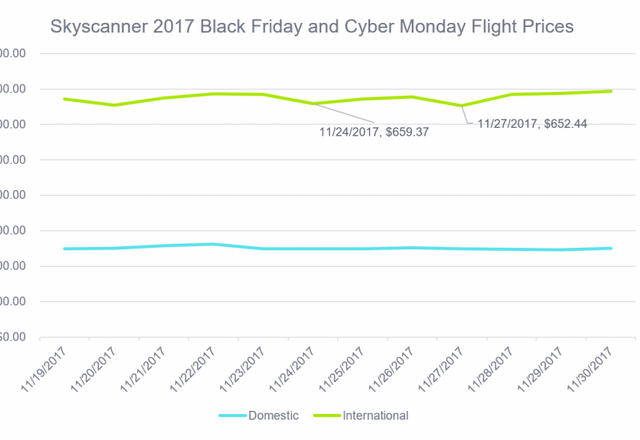 There's a high chance that you will find the best flight deal on Special Offer days - The day after Thanksgiving (Black Friday), and subsequently the Monday after that (Cyber Monday). Airline companies are offering all kinds of extravaganza when consumers know that retailers are slashing their prices. The Skyscanner app or website makes it very easy to track or find these deals so you can be on your way to your next bucket list destination! Armed with all this knowledge, you should now have the tools necessary to land you that cheap flight to your dream destination. HAVE YOU FOUND CHEAP FLIGHTS ON BLACK FRIDAY? Disclosure: This post is sponsored by Skyscanner. All opinions are my own. Wow.. Thanks for your post. This is really helpful. If I buy both up and down ticket from Bangladesh can I save my money ??? Yeah, another trick to change the currency where you are buying from - I once saved $50 from a airfare by just changing my location and currency using vpn. Ahhhh what a great read! Thanks @adonisabril. When is Cyber Monday and Travel Tuesday? Great post! You're right about avoiding the weekends. Airlines are typically less full on Tuesday and Wednesday, so there are usually some great travel deals available to mid-week travelers. More research is always better when searching for a flight. The good deals are out there, don't settle for the first price you see. Yes, being Johnny on the spot with travel deals is always the way to go! Thanks for the complete helpful information. Oh my god. I just bumped on your post and now I can't stop. I hope soon... Soon, I can travel just like what you did.